OS upgrade, backups, installing new applications, format disk, Partition Mac drive , keeping backup etc. are the common activity which is performed by every computer user. Over a period of time, you get slow Mac performance and many disk related issues start occuring. 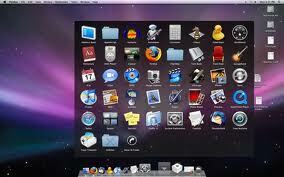 Apple provides many inbuilt application, with Mac OS X, for maintenance. All of these items/ uilities can be found inside Applications/Utilities folder on Macintosh hard drive. Some of them are :Disk Uttility, Network utility, Airport utility, FileVault etc. Disk Utility- It is used to format hard drives, create RAID arrays, mount volumes, burn disk images (.dmg files), and fix basic disk problems. The Repair Disk function is used to fix simple volume or filesystem errors. Disk Utility also monitors the basic S.M.A.R.T. status of any internal Mac hard drives. It helps to keep backup in the form of image. Network Utility- This Utility helps to check Ethernet, Airport or Bluetooth Port Info, Ping, Lookup, and Traceroute internet addresses, and scan for open ports and vulnerabilities. Airport Utility- It is used to control Apple Airport equipment: Airport Express, Airport Extreme, Time Capsule. Airport Utility will allow you to add new items on your LAN or reconfigure existing equipment, check and apply firmware updates, and find out why the light keeps blinking yellow on the front of your Airport Extreme. Keychain Access- Sometimes you may forget important loging password of any application , email accounts, server logins, WiFi passwords, dont bother most of these items can be found in the system keychain. Keychain Access is the utility used to view, change or delete these stored items. Console:- It keeps track of normal and abnormal operations of your Mac as startup, network activity, installations, errors and crash details. When sudden problem occurs, you can check it from console to find out it's reasons. FileVault- It was introduced with Mac OS X panther. It encrypts your Mac data to prevent unauthorised authentication but it does not encrypt startup volume . When FileVault is enabled, Mac system invites the user to create a master password. If you forget this master password, you will lose all your data, password or data can't be recovered by any tool.